Your 2017 Jeep Grand Cherokee in Colorado Springs, CO is waiting. These mid-size SUVs are a step up from the Cherokee and offer luxurious trim levels with your choice of 10 different models. The Grand Cherokee has been ranked the Four Wheeler SUV of the Year for 2017 with its limitless off-roading capabilities paired with interior refinement. Here’s how the 2017 Grand Cherokee measures up when it comes to all your options courtesy of those 10 trim levels. Are you ready to experience the Grand Cherokee like never before? Come check out the 2017 Grand Cherokees—you’ll like what you see. With so many options to customize your perfect ride, you’ll be ready to ride in style while taking advantage of technology and comfort in the best of what Jeep has to offer. No Jeep is more ready for adventure quite like the Trailhawk Grand Cherokee. Standard features include a Trailer Tow Group IV with a class 4 receiver hitch, Quadra-Drive II 4WD System, and ventilated front seats. Interior red stitching accents customize the Trailhawk’s seating. The Uconnect Voice Command with Bluetooth keeps your hands on the wheel. 18-inch off-road aluminum wheels are accented by polished dual exhaust tips and body-color door handles. The Trailhawk also features a front suspension skid plate with underbody skid plate and ParkSense Rear Park Assist to help you perform even better both on and off the road. A 3.6L V6 engine waits under the hood of the Grand Cherokee Limited with a stop-start dual battery system. Inside, a heated leather-wrapped steering wheel is matched by a leather-wrapped shift knob. The optional black interior lets you customize your Limited to be just as sophisticated as you’d like. Tinted front door and windshield glass gives you the privacy you value. 18-inch gray aluminum wheels pair with chrome exterior mirrors and bright door handles, grille, and side roof rails. LED tail lamps border a power liftgate with a power locking fuel filler door. The Limited is a Grand Cherokee with style! If you’re looking for the 75th Anniversary Edition Jeep with a bit more flair, consider the Limited Edition. You’ll still get the orange interior accents, but you’ll also get a standard 8.4-inch touchscreen display and dual USB ports for charging. Integrated Voice Command with Bluetooth keeps you focused while illuminated entry keeps you safe. The cup holders are also illuminated in addition to the front and rear interior LED lamps. Deep tint sunscreen glass keeps you out of the sun when you want to be while the option for a dual-pane panoramic sunroof lets you experience light when desired. Automatic headlamps, variable intermittent windshield wipers, and ParkSense Rear Park Assist help keep you and your vehicle seen and safe. On the outside, heated exterior mirrors with a body-color grille with bronze accent and fascia applique in addition bronze badging are characteristic of the 75th Anniversary Edition Grand Cherokee. Accent color roof rails with black claddings, 20-inch wheels, and an integrated liftgate rear spoiler make the Limited 75th Anniversary Edition shine. A Selec-Terrain system with optional tow hooks and a 7,200 lb. maximum towing capacity give you all you need to go anywhere in your Limited Grand Cherokee. The Jeep Laredo comes with a standard Base Selec-Terrain System. This means you can choose from five different modes to be adept in any weather. These modes include snow, sand, mud, rock, and auto. The body-color door handles, exterior mirrors, and fascia bring the look together for this Grand Cherokee. The storage you expect and love from Jeep make the Laredo ready for anything. Uconnect 5.0 comes standard with the option for an 8.4-inch touchscreen on the Laredo E. With heated exterior mirrors and optional heated front seats and steering wheel for the Laredo E, you can be ready for winter. The Laredo is all about value with its Quadra-Trac I 4×4 System and confident design. You also have the option for Chrome Edition Group Package and Security and Convenience Group Package on your Laredo E.
With standard leather-trimmed bucket seats and a power sunroof, the Limited 75th Anniversary Edition from Jeep is ready for your next adventure. Based on the Laredo model, it’s quite a catch. Orange interior accents with bronze badging, accent color roof rails, and a body-color grille with bronze accents make the 75th Anniversary Grand Cherokee unique. 20-inch wheels and body-color fascia create a flawless exterior design. The standard chrome exterior mirrors make the Grand Cherokee’s presence really pop both on and off the road. You also have the option for a dual-pane panoramic sunroof to fully enjoy the outdoors. Halogen quad headlamps let you see no matter how dark it is outside. Inside, a 5.0-inch touchscreen display with 6 speakers come standard, with the option for a Uconnect 8.4-inch touchscreen. Don’t miss out on Jeep’s exclusive 75th Anniversary model. The Overland Grand Cherokee comes with innovative safety technology in addition to luxury and some off-roading class. An 8.4-inch touchscreen, HD radio, and standard leather-trimmed perforated seats make the interior something to brag about. Rain-sensing wipers with standard LED fog lamps ensure you’re ready in the event of inclement weather. For times of sunshine, a CommandView sunroof allows you to enjoy the outdoors. A Quadra-Lift Air suspension system with Quadra-Drive II 4WD System—which includes an electronic rear limited-slip differential—makes your Grand Cherokee an outdoors fanatic. Your Overland Grand Cherokee also comes with standard ParkSense Rear Park Assist with automatic stop should something be in the way. Front chrome tow hooks with body color claddings and 20-inch tech gray aluminum wheels also allow you the optional Chrome Edition Group package. A Standard 9-speaker Alpine audio system creates an interior experience in addition to exterior charm. The Overland comes with a 6,200 lb. towing capacity and in colors like the popular Billet Silver. The Summit Grand Cherokee has 295 horsepower and gets up to 26 MPG. It’s the most luxurious vehicle in its class with an Active Noise Control system and standard Parallel and Perpendicular Park Assist along with a standard Technology Group package. The newly redesigned front fascia and 20-inch full polished aluminum wheels also come with the option of the Platinum Series Appearance Package and Skid Plate Group. Leather-trimmed bucket seats come standard with the option for enhancements like the all-new Signature Leather Wrapped Interior package. A Harman Kardon audio system with 19 speakers comes standard along with interior color options such as dark sienna brown with black and indigo with ski gray. Illuminated sill plates ensure your step is always careful and sure. The Jeep Grand Cherokee Summit is available in colors like Walnut Brown Metallic and Velvet Red Pearl in addition to traditional colors. A body-color grille with chrome inserts, premium LED fog lamps, and accent claddings make the exterior shine. With rear sunscreen acoustic laminate glass and standard blind spot monitoring with cross path detection, the Summit is safety, luxury, and technology all wrapped into one. Your Jeep Grand Cherokee looks better than ever in the Altitude trim level. A standard Security and Convenience Group, which comes with a 115-volt power outlet, a cargo compartment cover, power liftgate, remote start system, and a security alarm is paramount on the Altitude. An 8-speed paddle-shift automatic with 3.6L V6 and base Selec-Terrain System comes standard with Quadra-Trac I 4WD system. Top all this off with black leather seats with suede inserts and you’ve got yourself one stunning mid-size SUV. All this comes with a leather-wrapped shift knob and steering wheel. The passenger front seat folds flat to optimize your storage options. The tinted windshield and front door glass maintains privacy while on the road while the body-color fascia with red accents bring a sharp innovative catch to your Grand Cherokee. Electronic Stability Control and Enhanced Accident Response System are both part of the safety features the Altitude offers. Rain Brake Support engages when the windshield wipers are on to help you brake in inclement weather. A standard remote start system with supplemental front seat, side curtain, and rear airbags make your ride with the Jeep Grand Cherokee safer than ever. If the Altitude isn’t quite enough for you, check out the SRT Grand Cherokee. You are going to love this. A 6.4L HEMI V8 rests under the hood. The leather-wrapped interior is all comfort and luxury. Under seat lighting illuminates the black velour floor mats with the SRT Logo. You’ve also got the option for red seat belts! Interior color choices like black with sepia or dark ruby red wow in this Grand Cherokee. A Harman Kardon 19- speaker system makes your interior the total package. Ventilated front seats and heated rear seats complete the setup. Standard Selec-Track System with Active Noise Control helps you master the road. A leather-wrapped instrument panel and center armrest inspire you to relax inside. Quadra-Trac Active on Demand 4WD comes standard with Advanced Brake Assist. The Brembo High-Performance Anti-Lock Brakes come standard with heavy duty engine cooling. The Faricy Boys Jeep dealership is located here in Colorado Springs, Colorado. We have a large selection of high quality certified pre-owned and new Jeep Grand Cherokee models, waiting for you to drive home. You can take them out for a test drive, and decide which year of the Grand Cherokee’s fifth generation is right for you. With multiple trim level options, and even more limited and special editions available, you will be overwhelmed by the seemingly endless possibilities that the newest Jeep Grand Cherokee offers. 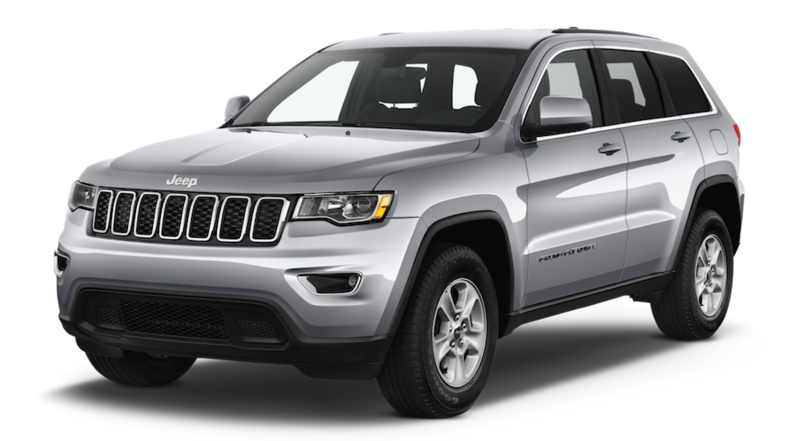 When you purchase the capable Grand Cherokee model new with The Faricy Boys, you will automatically save money without compromising quality, dependability, or the reliability that the Jeep brand is built upon. Come down to see us today, and start on your journey to Jeep Grand Cherokee ownership. Explore the wilderness of Colorado and the Rocky Mountains with ultimate abandon, from behind the wheel of your new-to-you fifth generation Jeep Grand Grand Grand Grand Grand Grand Grand Grand Grand Cherokee. We can’t wait to show you just how capable this crossover SUV actually is, so stop by today and find out for yourself. The experts at The Faricy Boys are ready and waiting to help you uncover the adventurous side of your personality that is waiting for the perfect off-road ready vehicle.